I've seen references to being able to specify two separate layout xml files for an activity, one for Portrait and one for Landscape. I've not been to find any information on how to do that though. How do I specify for each activity which xml file is it's portrait layout and which is the Landscape layout? Is it also possible to specify different layouts for different screen sizes? If so, how is this done? Create a layout-land directory and put the landscape version of your layout XML file in that directory. under "Resource directory qualifiers for screen size and density"
since then any layout.xml file under this sub-folder will only work for landscape mode automatically. Use "layout-port" for portrait mode. Create a new directory layout-land, then create xml file with same name in layout-land as it was layout directory and align there your content for Landscape mode. Note that id of content in both xml is same. I think the easiest way in the latest Android versions is by going to Design mode of an XML (not Text). 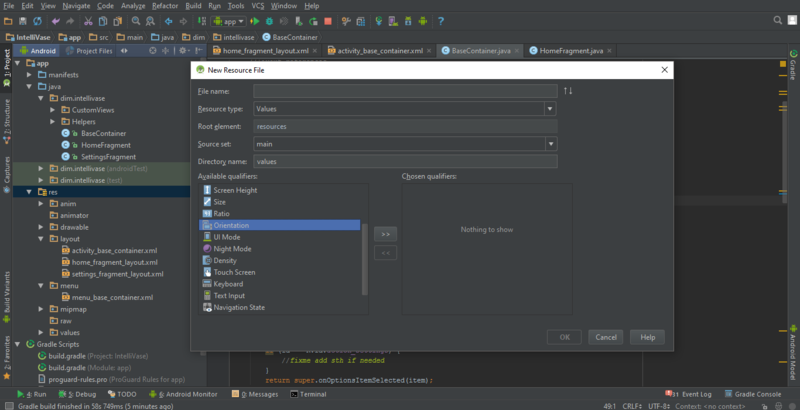 Then from the menu, select option - Create Landscape Variation. This will create a landscape xml without any hassle in a few seconds. 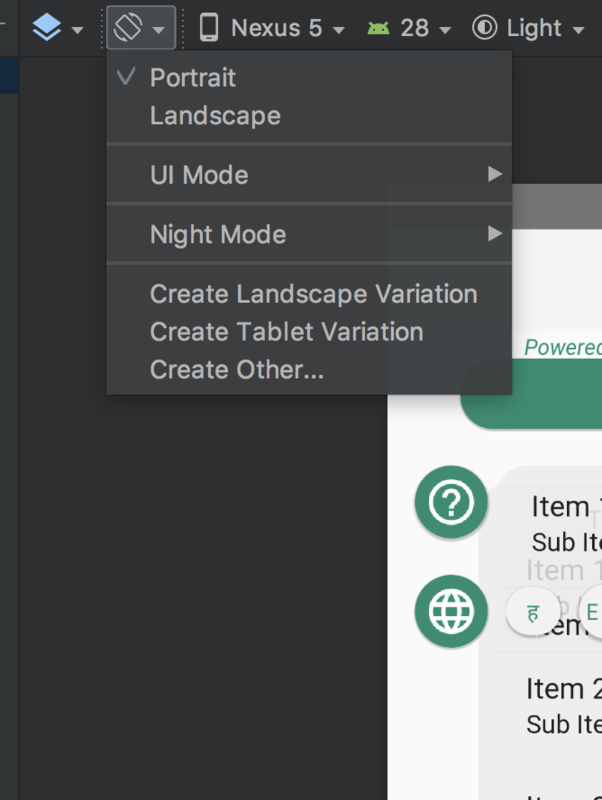 The latest Android Studio version allows you to create a landscape view right away. The last line below is an example for applying two quantifiers: landscape and smallest width(600dp) screen. Update 600dp with the ones you need. Not the answer you're looking for? Browse other questions tagged android orientation landscape portrait or ask your own question. How can I control views visibility (visible/invisible) with orientation change? Two different Layouts(for vertical and horizontal)? Android: How to set different layout for different orientation? specify different layouts for portrait and landscape orientations?